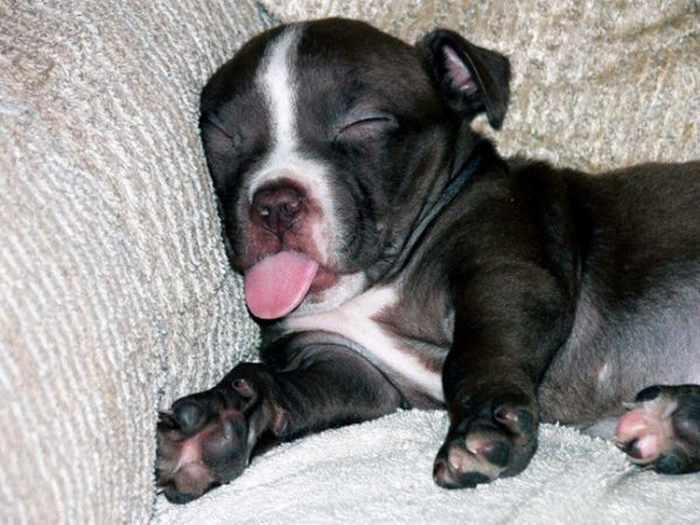 Have you ever wondered why dogs have the habit of licking a human being or themselves? Know your dog through his habits or, to be more precise, through his behavioural patterns... 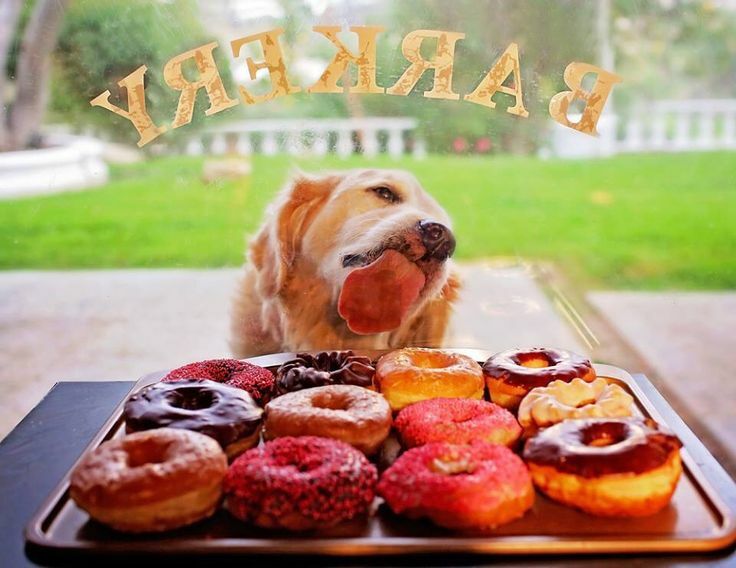 Since every dog has a habit of licking, the question you should ask yourself is the way the dog is doing it; and through this observation you will be able to understand the dog's mood. For instance, if your dog is jiggling his tail, comes close to you and licks you... well, you have nothing to worry about. If, on the other hand, a dog sits on a corner and licks himself... there might be an underlying cause for it and you should check out if something is wrong with your dog. Remember, in a sense you are the dog's guardian so pay attention to such behaviour. A dog that is constantly licking himself might be a warning for something; maybe the dog is nervous or in bad shape (aka bad condition). What is more, if a dog is licking himself it might be a sign that the dog feels lonely and unhappy; moreover, it might be a cause of skin problems or an injury. Bottom line is that the duration and the frequency of that habit will show you if an actual problem exists. If a dog usually licks another dog, it means that the dog "surrenders" to that other dog; this should not necessary be viewed as something negative. Young dogs usually show their subjection towards older dogs by licking their faces; similarly it occurs between smaller sized dogs towards bigger ones. This is a sign of their subjection; but it also can be seen as an invitation to play. Imagine it like this: the way that we, in our human societies, respond during a conversation towards an elderly person, we do it with respect (although this behaviour now tends to become scarce). In any event, what this behavioural pattern shows us is that dogs are truly magnificent creatures with a level of awareness in regards to socializing. Licking is a dog's way of kissing us... They show their love, their affection and their happiness through this kind of behaviour. 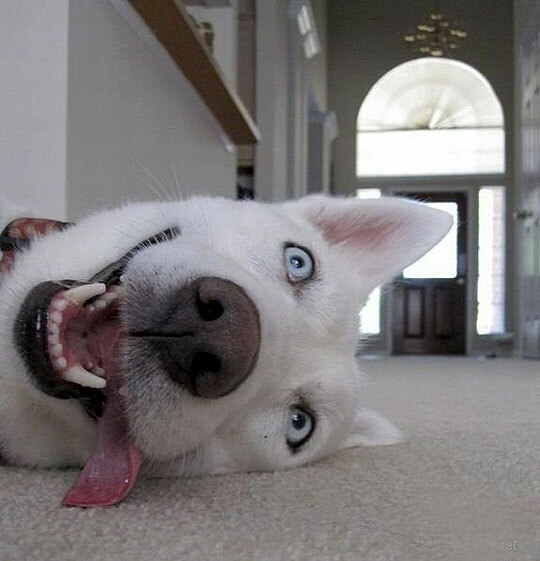 Who said that dogs do not feel emotions like stress? Licking is a way that helps them to reduce their stress levels. To get a better idea about it, think of people who bite their fingernails, or their lips, in order to deal with their stress. (Back to dogs...): if the dog is not exaggerating with that type of licking you should not worry about it. Also remember that while your dog licks himself it releases endorphins that give the dog a sense of pleasure. 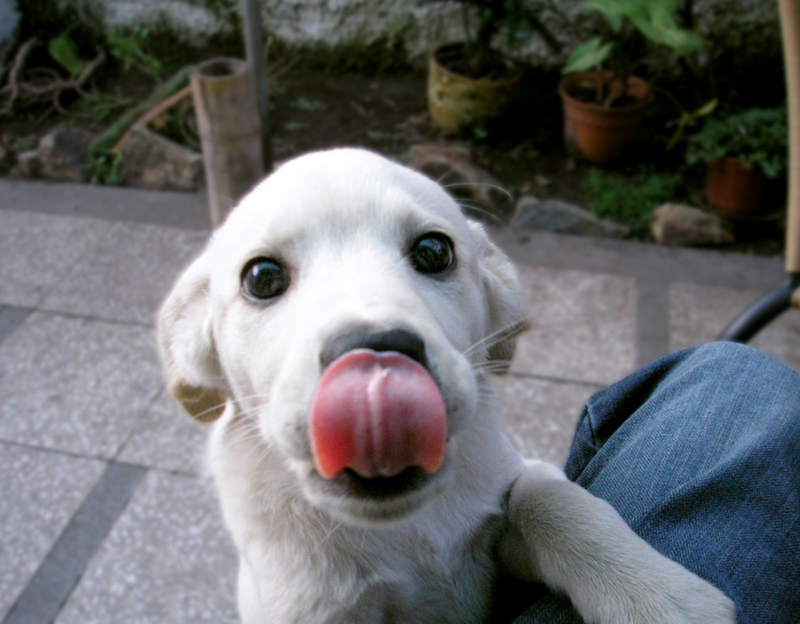 Dogs lick whatever excites their smell (just remember that smelling is part of a dog's DNA). We all know that dogs have their own special way to mark an area, or a point, on a sidewalk (... and yes, we are talking about urine); same with their saliva. For example when a mother-dog licks her puppies, and vice versa, she points out that the puppies are her offspring. 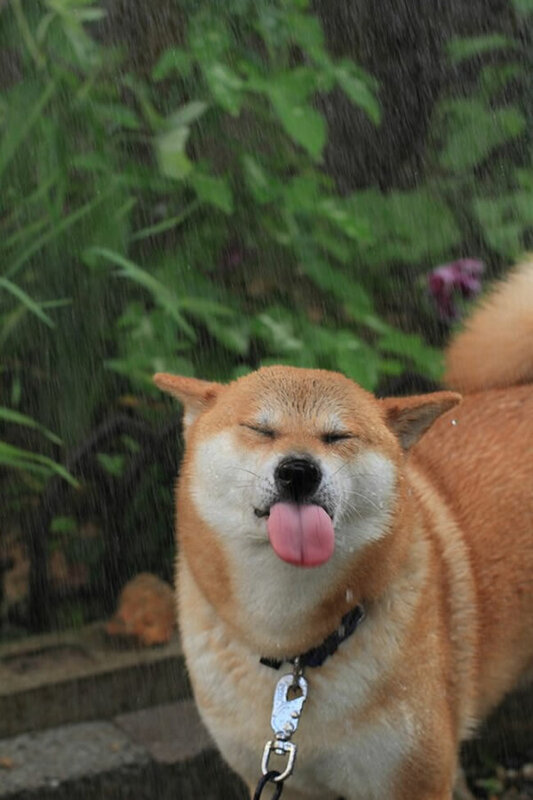 Your dog's licking can also function as a way of communication; in other words, your dog sends a message. For instance, one of the main reasons why dogs lick each other is in order to communicate. Believe it, or not, dogs want to look beautiful before other dogs. Maybe not in the literal sense but licking is their way to clean up; the feeling of becoming beautiful. Your dog's cleanness and grooming is similar to what we humans do when brushing our teeth or taking a shower. Moreover, by remaining clean your dog intensifies his smell and this in turn, is a way of attracting a mating partner during the mating period. Finally, when your dog constantly licks a specific spot on his body it is an indication of an injury. Dogs have the habit of licking their wounds, and with the help of enzymes that their saliva contains, they are able to eliminate bacteria located in their injury. That illustrates the fact that dogs have a kind of self-healing properties; obviously, we are referring to superficial injuries and not "serious ones". To conclude: what the present article illustrates is that the behavioural patterns of dogs are complex and should not be disregarded as simple; as it is with the case of licking and the different interpretations it has. What we need to do is to build on our relationship and our communication with our dog. It may be time consuming, indeed, yet we will be rewarded with a harmonious symbiosis that will become priceless for us and our dog. 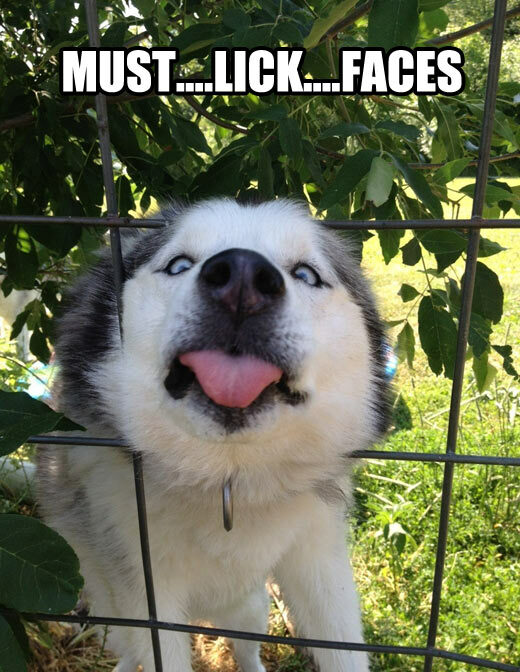 What do you think about "10 Reasons why dogs tend to lick..."?